May 25th is... National Tap Dance Day, 1st National Spelling Bee Held, National Missing Children's Day, Babe Ruth Hits 714th Home Run, Grizzly Bear Threatened Species, Jesse Owens Set Three World Records, Don't Fry Day, Cookie Monster's Birthday, Heat Awareness Day, Nerd Pride Day/Geek Pride Day, Towel Day, National Wig Out Day, Old Tyme Player Piano Day. -- Babe Ruth was more than baseball’s original superstar. For eighty-five years, he has remained the sport’s reigning titan. He has been named Athlete of the Century . . . more than once. But who was this large, loud, enigmatic man? 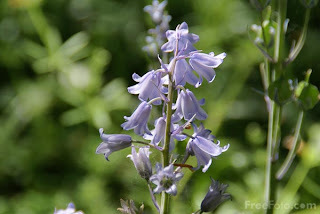 Why is so little known about his childhood, his private life, and his inner thoughts? 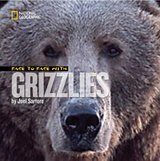 -- Joel Sartore has been face-to-face with a grizzly bear—and lived to tell this and other great tales in Face to Face with Grizzlies. Through stunning photography and engaging storytelling, this expert challenges young readers to coexist with this fearsome creature. -- Jesse Owens grew up during an age when segregation laws forced him to eat at separate restaurants and stay at different hotels. 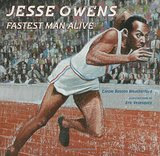 But Jesse never let it slow him down while setting world records and winning a spot on the U.S. Olympic team. Once in Berlin, the triumph of Jesse's will helped him run through any barrier, winning not only Olympic gold, but countless fans. -- Cookie Monster plans a party to celebrate his birthday, but before the guests arrive, he can't resist a tiny taste of the cake. It isn't long before the cake disappears. Fortunately, Cookie's friends help him solve his party dilemma in a story that makes learning to read a piece of cake.